Jeep owners know that the Cherokee is more than an SUV; it’s a lifestyle. The new 2019 Jeep Cherokee is another proud entry in this lineage of rugged adventure-ready cars. You’ll be well equipped with the Cherokee’s mighty 2.4L Tigershark MultiAir 2 I4 engine with with Electronic Stop/Start technology. This agile engine puts out up to 184 horsepower and gets up to 22 mpg city and 31 mpg highway. There’s no doubt about the value included here; you get a lot with the new 2019 Jeep Cherokee. Let’s review just what makes Jeep owners so passionate about the Cherokee. Normandin Dodge Chrysler Jeep Ram is ready to help regardless of whether you’re looking for a new or used vehicle, vehicle maintenance, or a great trade-in value. 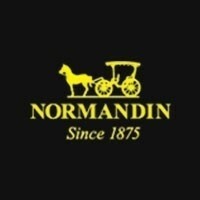 People all over the greater San Jose area, including Sunnyvale, Santa Clara, and Milipitas are discovering the Normandin difference. Why shop the rest when you can choose the original sport utility vehicle? Normandin Dodge Chrysler Jeep Ram has the 2019 Jeep Cherokee on sale now with a starting price of only $23,995. Save a date to test drive this Cherokee and experience the true freedom and adventure of a Jeep.